Researchers have found a new way to control nanobots – inside the human body. The Chinese University of Hong Kong (CUHK) has found a new way to control and use nanorobots. 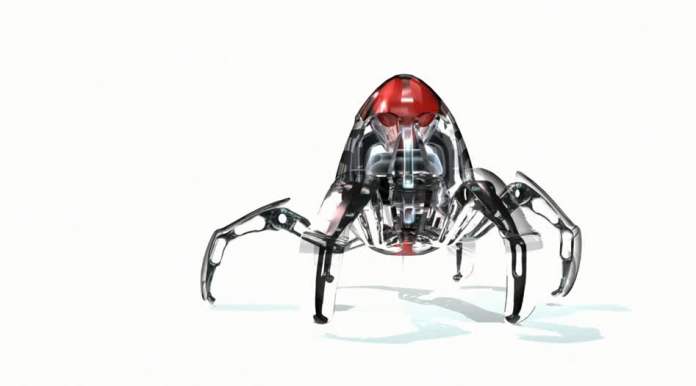 Nanorobots, also known as nanobots, help surgeons to perform complex medical problems. The new method to control nanobots inside the human body will completely change the future of medical science. The future of medical science is bright. On Thursday, professor Zhang Li announced the research at Mechanical and Automation Engineering Department of the Chinese University of Hong Kong. The research stated that it was inspired by schools of fish and flocks of birds. Zhang’s team observerd and studied schools of fish and flocks of birds. They decided to use a magnetic field to control the movements of nanobots and give them swarm behaviors. Nano bots are nothing but millions of magnetic nanoparticles. They are capable to change their form to whatever environment they are in contact with. They can change their form, as well as extend, split, shrink, and merge. All these characteristics are included in its swarm behaviour. For researchers, finding a proper actuation method to receive the highly reconfigurable swarm at its microscale is the most challenging part. There are many places in the human body where surgeons cannot reach. For them, it is very difficult to navigate through the micro and sensitive parts of the body. But, this method will allow surgeons to send the nanobots through difficult-to-navigate places in the human body. With this method, targeted drug delivery, eye surgeries, and cancer therapies will become much easier. According to Zhang, magnetic microswarm technique will provide new opportunities. Recanalization of occlusion in vascular systems of the human body will become possible such as stroke. Also, other kinds of potential applications will become possible. This includes localized fluidic manipulation for microfluidic systems and surface patterning for microfabrication. The team of researchers has collaborated with the Prince of Wales Hospital in Shatin at CUHK. They will conduct animal tests for this process with collaboration. Our medical science is improving a lot. And, in the near future, we could expect some miracles. The future is going to be really exciting. Let’s hope that the findings of the team could possibly bring an innovation in the medical science. The team has published its findings in Nature Communications.